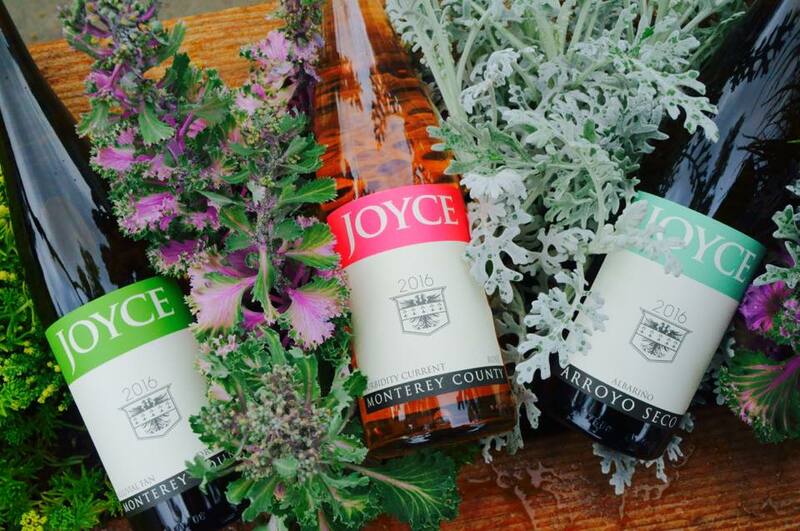 Joyce Vineyards has been a life long partnership between father and son Francis and Russell Joyce. It began when Francis followed his passion by pirating several European cuttings in the early 1980’s and planting on his small property in the sub-appellation of Carmel Valley in Monterey County wine country. Francis moved to Monterey County in the early 70’s to follow his professional racing career while practicing at the infamous racetrack, Laguna Seca. After leaving his racing career behind, Francis went on to become a dentist yet yearned for a connection to his past coming from a small farming family in Wisconsin. What started as a hobby has grown into a small production winery under the direction of Russell Joyce, Francis’ eldest son. Russell grew up working in the vineyard at a young age but his passion for wine did not flourish until his early 20’s when he began taking over all winemaking duties. The winery has grown from its micro winery on the original property to a now off-site urban winemaking facility in Salinas, Ca. The wines produced have evolved to from a number of specific vineyard sites within Monterey County and several other appellations in the central coast. Father-son team Frank and Russell Joyce make handcrafted Pinot Noir, Chardonnay, Merlot, Syrah and Cabernet Sauvignon in limited quantities from some of the finest vineyards in Monterey County.